Personality is a complex, multidimensional and layered construct that cannot be easily demarcated into clear-cut categories. Yet, one of the most robust classifications, that has stood the test of time, is between introverts and extroverts. We typically tend to think of introverts as quiet, shy, timid, unassuming, soft-spoken, snobbish or even cold. On the other hand, their loquacious peers are perceived as friendly, warm, vivacious, confident, fun-loving and bold. While introversion and extroversion are fairly stable traits, we often harbour many misconceptions about our quieter friends, possibly because they do not demonstrate their strengths as loudly as extroverts do. In her best-selling book— Quiet: The Power of Introverts in a World That Can’t Stop Talking, Susan Cain, a self-confessed introvert, dispels many myths about our reticent friends and questions the ‘extrovert ideal’ that society imposes on individuals. Cain acknowledges that the Western, especially the American, culture prizes gregariousness, while Asians tend to value reflective personalities as well. However, in today’s hyperdynamic, interconnected and extremely chatty world, the extrovert ideal is gaining traction even in traditionally contemplative societies. As a result, parents and teachers, the world over, exhort kids to be more sociable and outgoing, implying that extroversion is the preferred personality type. This push towards loquacity downplays the many benefits that introverts bring to the world. Moreover, forcing people to act like someone they aren’t, can exact costs both on the individual as well as on society. Introverts are a sizeable minority. According to Cain, at least one-third of Americans are introverted. The percentage of Asian introverts is only likely to be higher. Further, some people, who are naturally quiet, may craft a more outgoing persona to earn kudos from society. Though people generally believe that sociable individuals are happy, that does not imply that quieter folks are less content with their lives. Just as extroverts are attracted to people and large gatherings, introverts prefer being alone or in small groups. The former feels energised when they are with other people while the latter are “drawn to the inner world of thought and feeling,” says Cain. Introverts also have other positive traits that are, alas, not recognised by the majority. On an average, they tend to be considerate, thoughtful and excellent at listening. Further, they may prefer to express themselves in writing as opposed to talking and also would like to avoid conflict. Studies have found that introverts are efficient leaders when their teams comprise proactive members. In such teams, introverted leaders are more likely to hear out their colleagues and execute their ideas. But, when teams comprise more passive players, extroverted leaders are better equipped to motivate them to perform. Introversion also seems to be associated with creativity. Albert Einstein says “I am a horse for single harness, not cut out for tandem or teamwork....” Cain cites a list of creative introverts that spans diverse domains and includes Newton, WB Yeats, FF Chopin, M Proust, Dr Seuss, JK Rowling, Steven Spielberg and Steve Woz. And, MK Gandhi and Rosa Parks, who catalysed millions for the greater good, were also temperamentally shy and quiet. Though extroverts and introverts don’t differ in terms of their IQs, the former do better in primary school while the latter tend to excel in high school and college. While extroverts do better on timed tests that require quick responses, introverts shine on tasks that require reflection. for a protracted, bigger one is correlated with test scores, income and body mass index. Cain also offers some suggestions for teachers when working with shy children. First, don’t view “introversion as something that needs to be cured.” While you can hone children’s social skills so that they get along with others, everyone does not have to be outgoing or cheery. 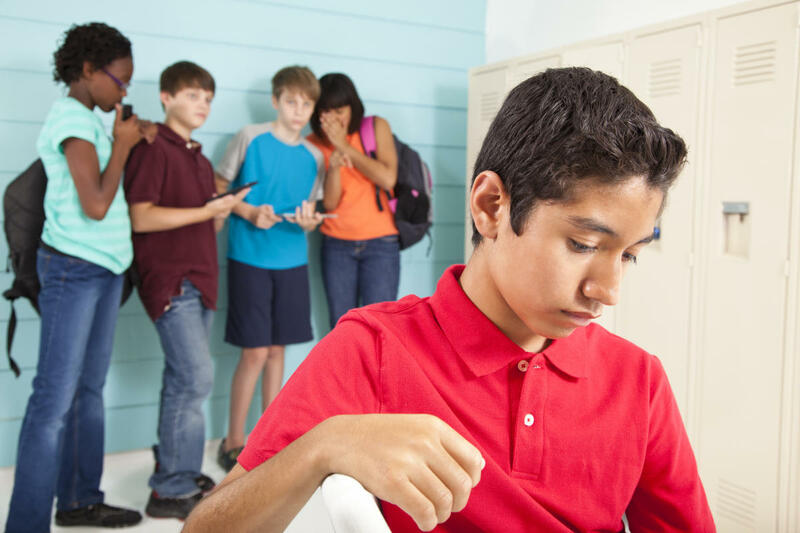 Shy kids also tend to have strong, focused interests but are diffident to talk about themselves in group settings. Have one-to-one conversations every now and then with different kids. You may be surprised to learn that the child who does not raise his or her hand in class is a gifted violin player. When you assign kids to group activities, be mindful of the groupings. You don’t want shy kids to be completely dominated by bossy peers. While you may encourage quieter kids to assert themselves, you may also remind their rambunctious friends to value everyone’s opinion. Cain also urges parents to respect the need for solitude in individuals. And, she asks us to be wary of peer pressure. If your friends are at a pub on a Friday night, it’s perfectly okay if you want to stay home and read or watch a movie on your own. You can opt not to go to the New Year’s Eve party.